I’ve been organizing and cleaning out my cupboards and I came across these cool labels at the Paper Source store. I just love everything they sell at that store! Now that paper is being eliminated in many parts of our lives, it is great to have a place that celebrates paper in a creative way. Anyway, I love their selection of labels. I thought maybe I would hand print my own labels, but then my handwriting is pretty sad. So, I went to the Paper Source’s website and clicked on the actual label I bought and lo and behold, they had a link that was formatted to the specific label, how easy is that. The results are fun and pretty and now there won’t be any confusion to our container’s contents. The other day, my husband fried up some fish with pancake mix! I think he’ll be on board with this whole new labeling. 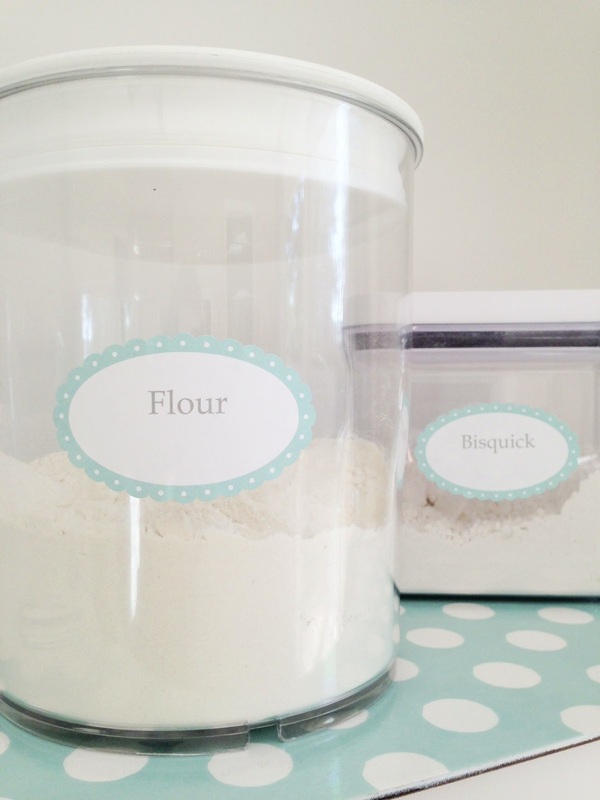 I just may have to buy some new containers so that my new labels look even prettier! I love containers. Thanks for stopping by, and take a look at these other labels and posts. Here’s what started this whole organizing project! When I printed it, I was afraid to put the unusual size label through our printer so, I taped it to a 8 1/2 x 11 sheet of paper. I had to figure out how our printer fed the paper and then position my paper accordingly and placed the paper in the right position. 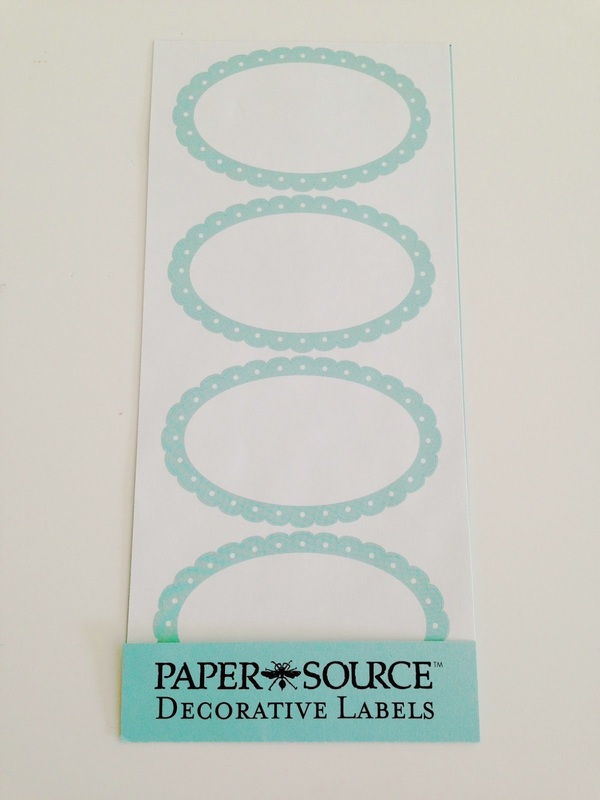 Our lovely oval scallop labels are a fabulous way to dress up your mailing envelopes, wrapped gifts, party favors, file folders, or even to mark containers around the house…stick ’em anywhere! In beautiful pool, these labels are designed to be paired with any of our Paper Source colored note cards and envelopes. A green way to correspond, mark, embellish and organizethey’re both recycled and recyclable.